I love sunny weather and the seaside, so for me the happiest period of the year is the summer holiday. However, each year I struggle to decide what to put in my suitcase. If I could, I would take all my wardrobe with me, but that would be highly unpractical.. So here comes again the question: ”What shall I pack for this year’s holiday?” It is easier to decide if you have a clear plan. Here is my packing plan. I start by dividing the items into two sections – essentials and can live without. After packing all the essentials, I fill in the suitcase with the extra things I would like to take, like an extra evening dress or another pair of heels. I love having a big beach towel which matches my swimwear, so I always take at least one with me. 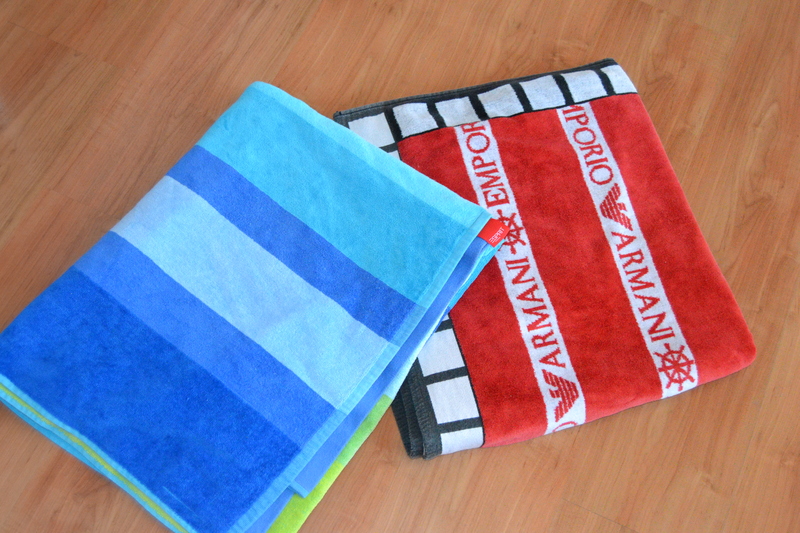 This year I chose towels from Esprit and Armani. I usually take two pairs of bikini. For this summer, I got two blue Victoria’s Secret bikini. 3. 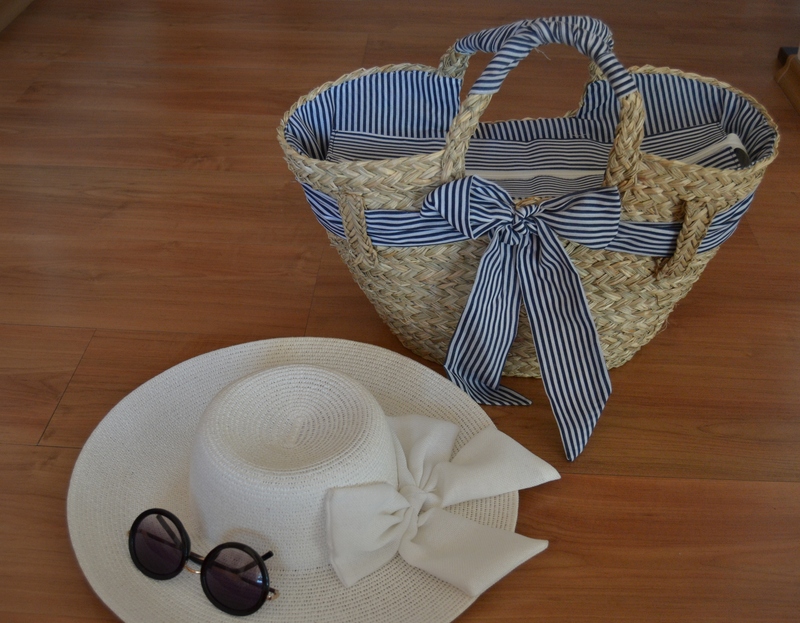 Beach bag, matching hat and sunglasses are a must as well! My favourite pair of glasses this year is the Miu Miu round model. The bag I chose for its white and blue details, matching my towels and swimwear. I love hats with a bow, so this one was a love from first sight. The bag I bought from Milan, the brand is Camomilla. While the hat is from Accessorize. 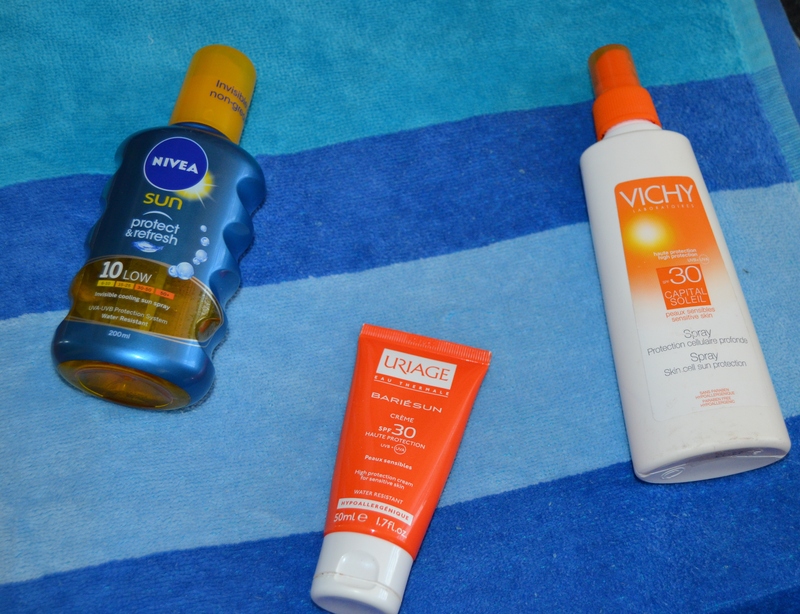 I always take few suncreams with me – one face cream, one body spray with high factor (usually 30) and one tanning oil. In this way, I protect my skin from burning during the first few days and maintain my tan with the oil for the rest of the holiday. I hope you enjoyed my packing tips, there are more coming soon.